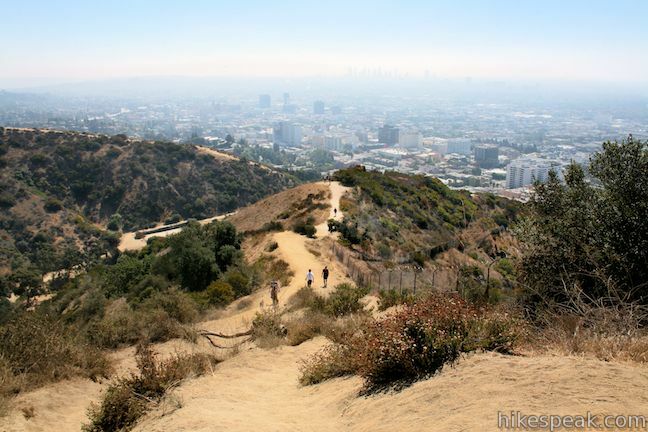 Runyon Canyon Park is one of the most popular hiking destinations in Los Angeles and often shows up on publishers’ lists of best hikes in LA. 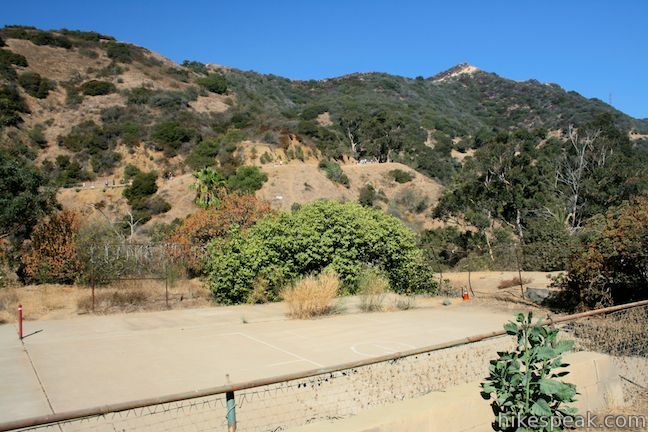 This 130-acre dog park is located in Hollywood on the east end of the Santa Monica Mountains, providing hikers with a few overlapping loops and great views over Hollywood. 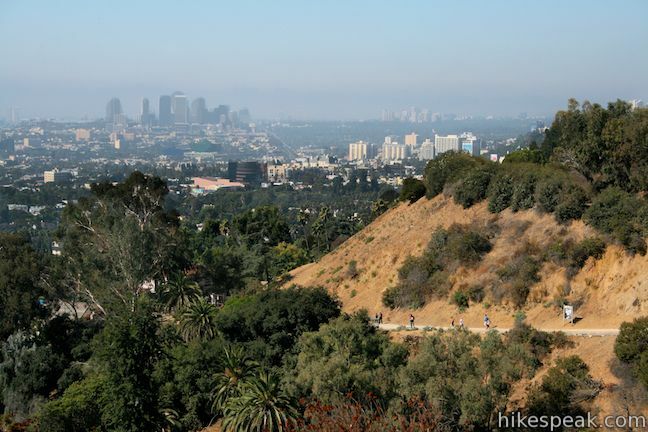 Runyon Canyon Park a crowded park, so if you are a trail snob expecting peace and quiet, modify your expectations for Runyon Canyon or check out another hike around Los Angeles. 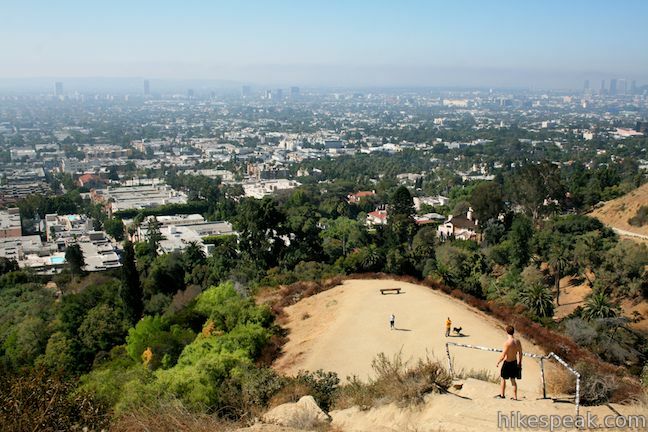 If you are looking for a bit of outdoor exercise with added people watching, Runyon Canyon is perfect. 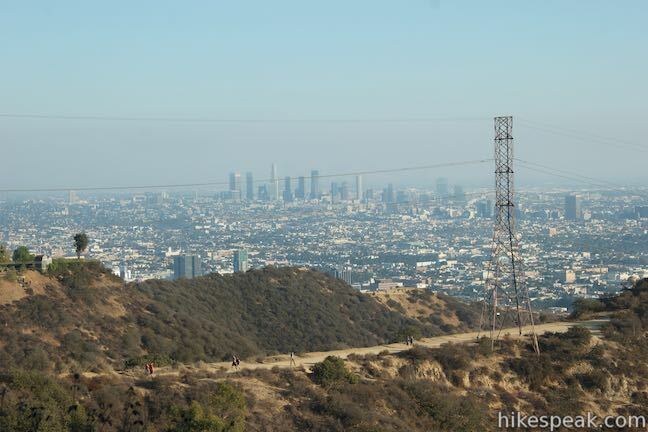 The majority of the trails in Runyon Canyon Park are wide dirt and paved fire roads, but single-track trails are also present, presenting steeper and less maintained hiking. 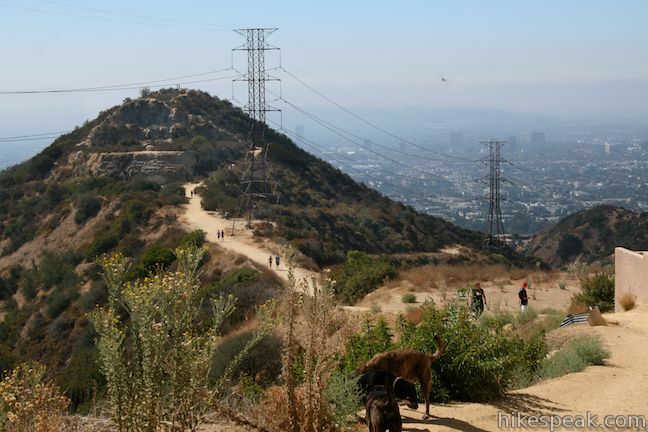 Runyon Canyon is officially a dog park and has off-leash areas where canines run free. 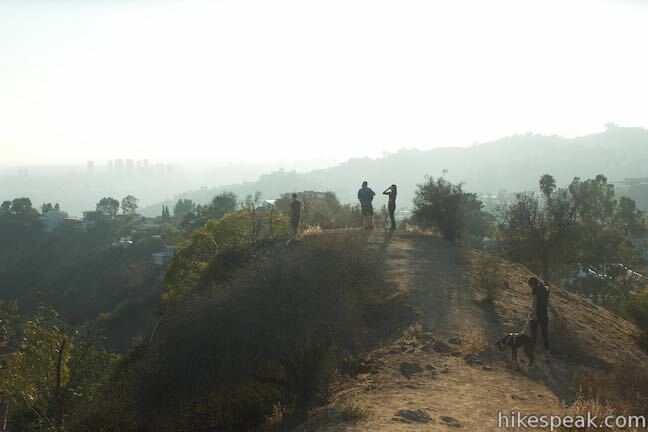 Plenty of hikers and joggers hit the trail without dogs, and Runyon Canyon clearly receives more foot (and paw) traffic that any other park in Los Angeles. 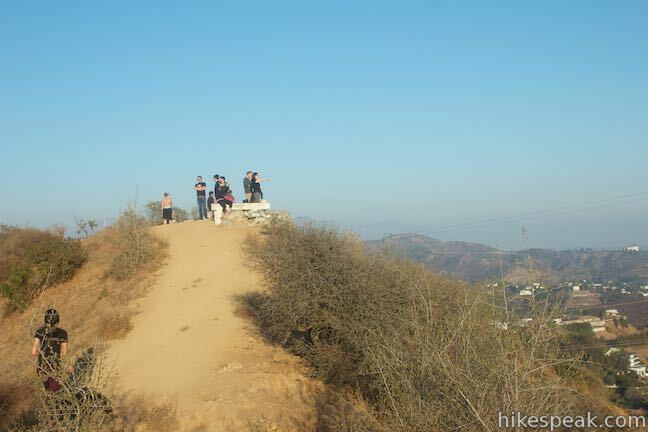 The landscape is well trodden and the trails can easily feel congested. 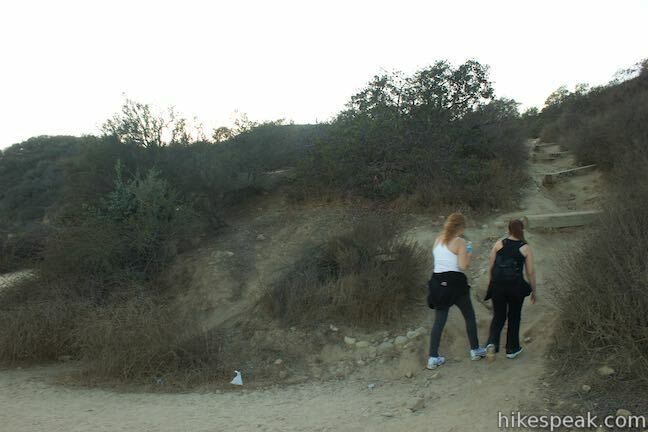 The Runyon Canyon hikes described here begin from the main entrance at the top of Fuller Avenue, two blocks north of Hollywood Boulevard (directions to the trailhead are below). The loops be modified to begin from some of the park’s other entrances. 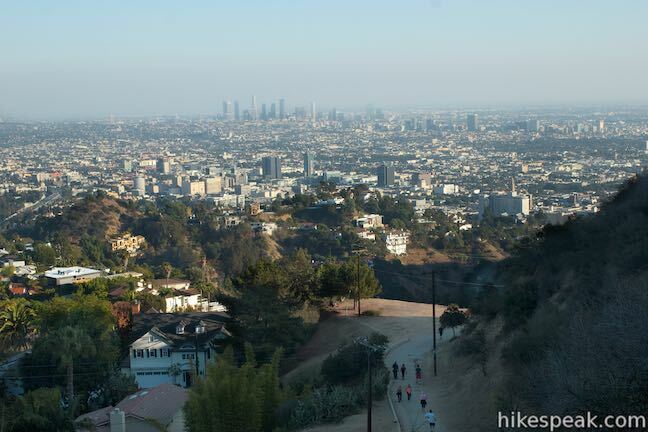 For something really short and easy (0.85 miles and 200 feet of elevation change), hikers can begin from the top of Runyon Canyon Park, using a trailhead along Mulholland Drive for a short loop to the park’s high point. 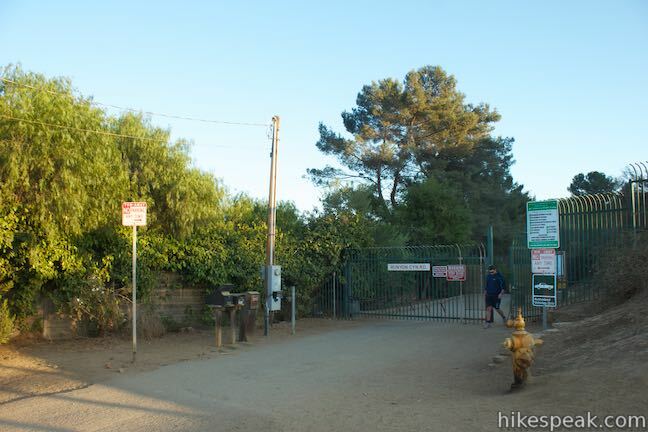 This trailhead effectively removes the 2.65-mile loop from the grandest 3.3-mile loop starting from Fuller Avenue. 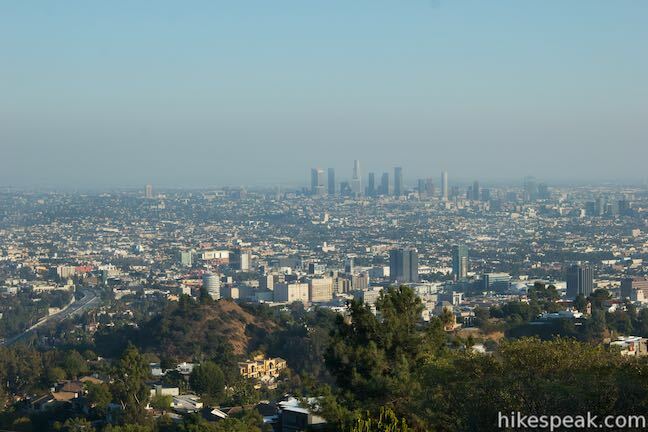 Those looking to hike even farther, can connect Runyon Canyon Park to nearby Trebek Open Space. 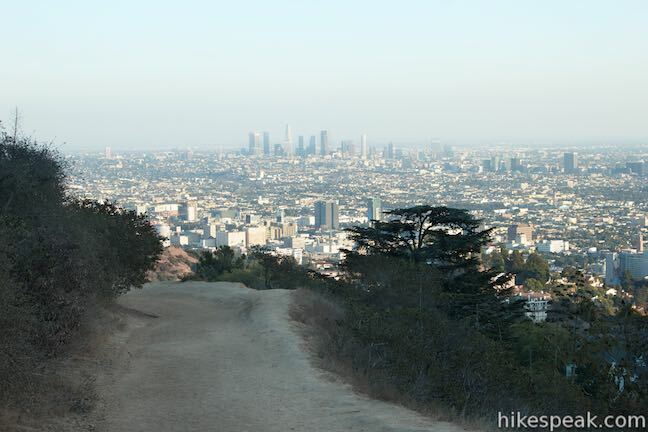 Take a look at the map below to see the trail options in and around Runyon Canyon Park. 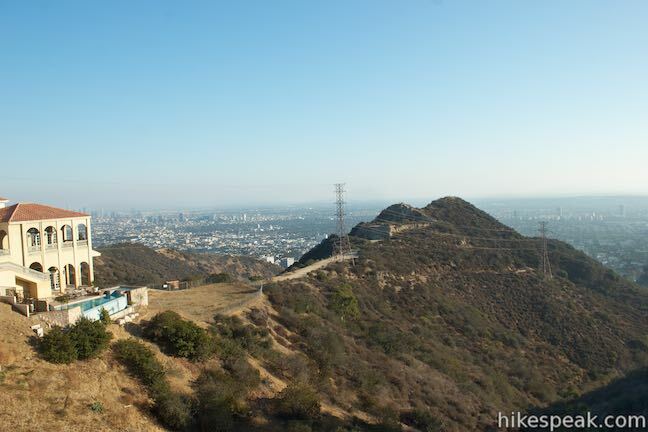 Pass through the large gate at the top of North Fuller Avenue and begin hiking up Runyon Canyon. To the left, you will see an open lawn where outdoor yoga classes are often held. Next, reach a trail junction that marks the beginning of the loops. 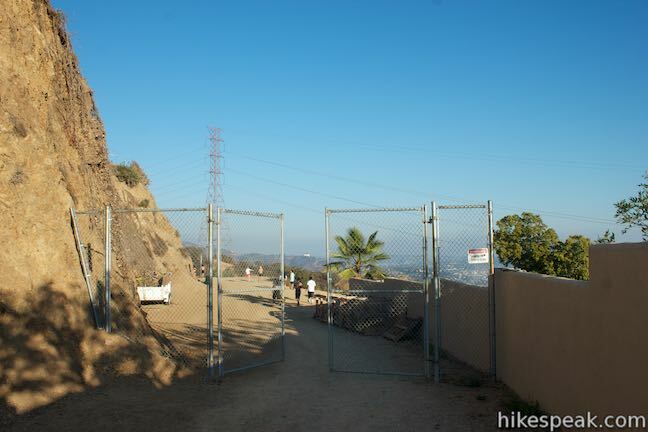 A wide dirt road heads to the left, going west toward the nearby Vista Street Gate where it joins Runyon Canyon Fire Road, the gradual half of the smaller loop in the park. For a steeper more scenic climb, continue straight through the intersection and hike the loop in a counter-clockwise direction. 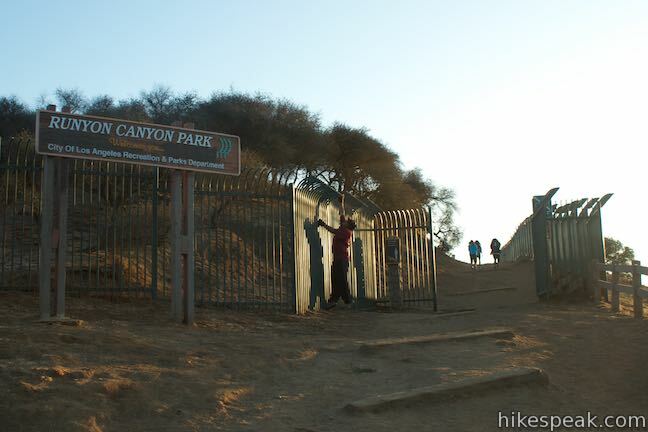 The trail progresses gradually up the bottom of the canyon through an off-leash area, before turning sharply to the right up the east side of the canyon. Just 0.45 miles from the start, the fire road arrives at Inspiration Point. 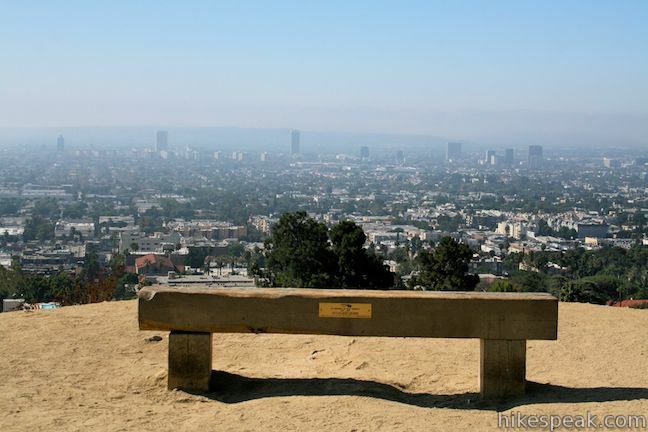 A bench offers a place to relax and take in scenics view over Hollywood. The hike is about to become more challenging. From Inspiration Point, the road is reduced to a wide single-track that makes a steep ascent up the ridgeline. 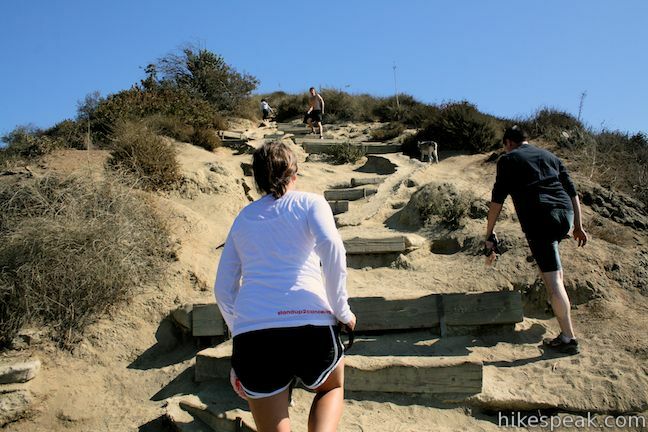 Wooden steps assist in the climb as you gain another 340 feet over a third of a mile. 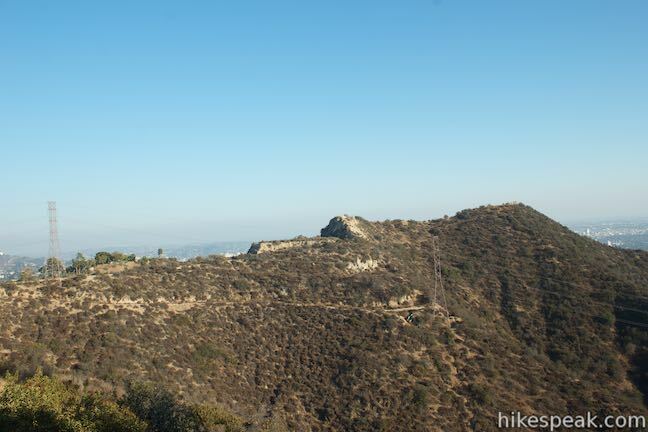 East Ridge Trail levels out and provides eastern views toward Griffith Park and the Hollywood Sign. 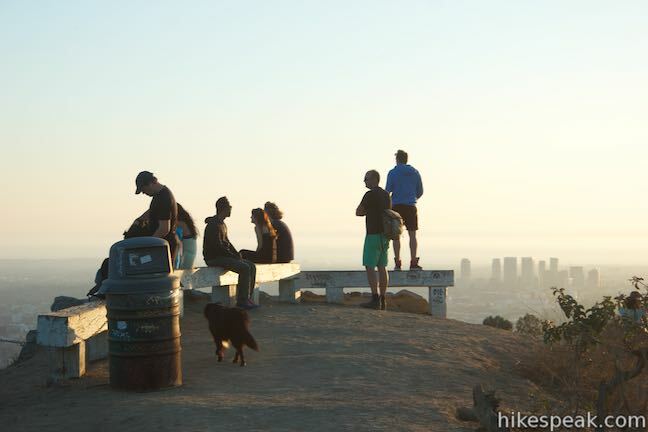 Continue up the ridge to a second viewpoint, Clouds Rest, which overlooks Los Angeles from an elevation of 1,040 feet. 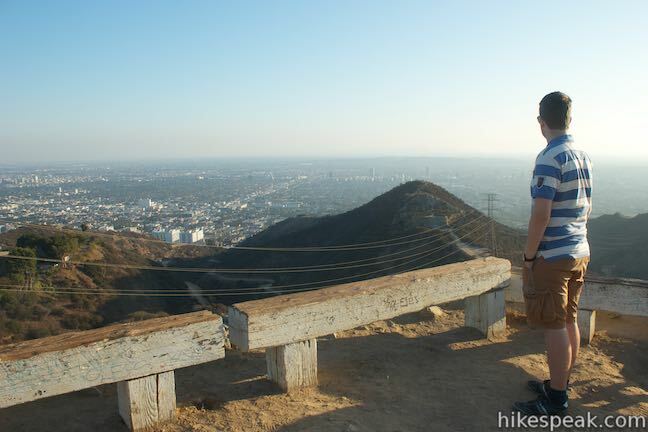 Not far past this perch, the trail unites with Runyon Canyon Fire Road, 0.95 miles from the start of the hike. Now it is time to make a decision. 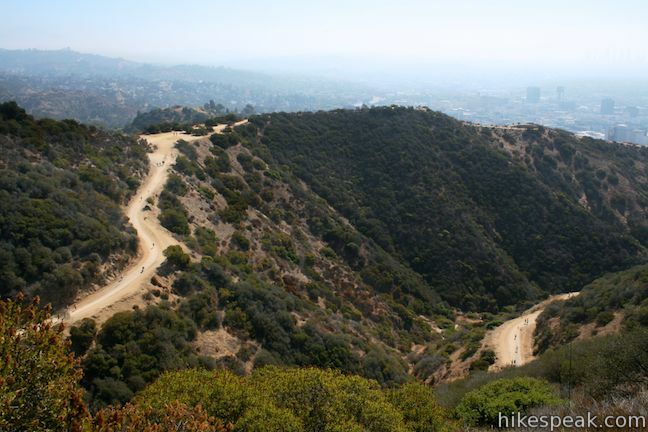 If you select the shorter outing, simply take the fire road down into the canyon toward the Vista Street Gate. Turn left on the road just before the gate to return to junction with the original trail down the center of Runyon Canyon. Then turn right to exit through the Fuller Avenue Gate. 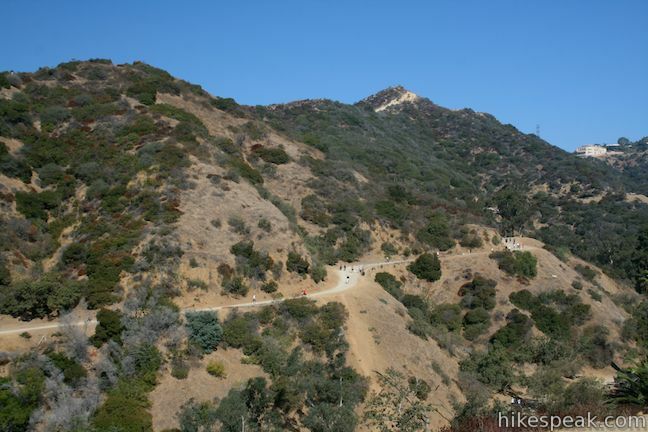 If you opt for one of the longer loops, keep in mind that the trail on the opposite ridge is less maintained with several steep sections and no wooden steps. 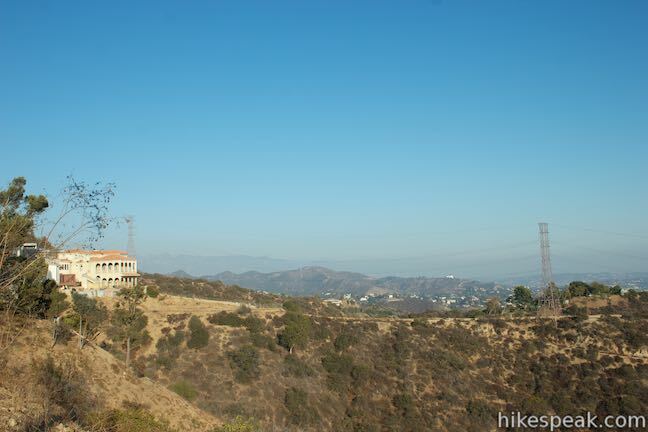 Turn right on Runyon Canyon Fire Road and head up the mountain toward Mulholland Drive. After 0.4 miles, just past a house with a goat pen, you will reach an unmarked junction with a fire road heading uphill to the left. Turn left here for the 2.65-mile loop. 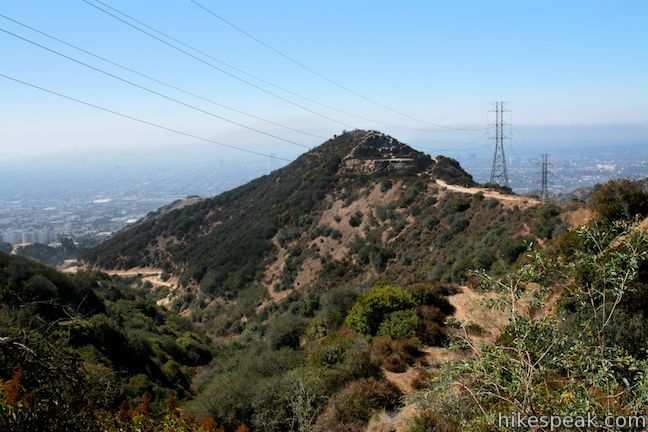 For the big loop to the top of the park, stay to the right and continue another 0.2 miles up Runyon Canyon Fire Road to the trailhead on Mulholland Drive. Come to the large gate at the trailhead and turn left to follow a dirt trail west that turns south toward the park’s high point. Pass through a switchback and come to another junction after 0.15 miles. 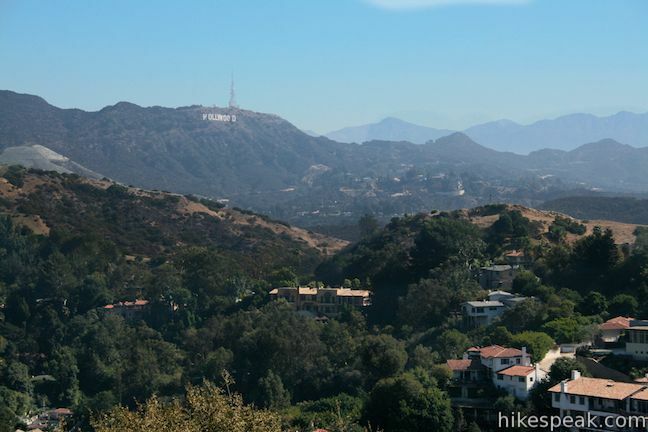 Turn right to hike another 0.15 miles out to the park’s high point at 1,325 feet where you’ll get a sweeping view over Hollywood. 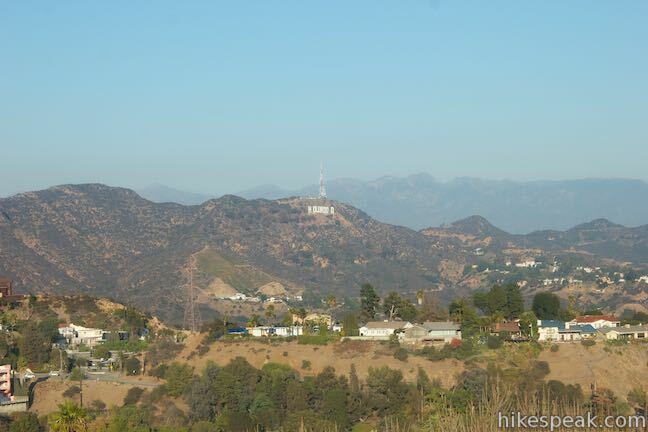 The Hollywood Sign and the Griffith Observatory are easy to spot in Griffith Park to the east and the Pacific Ocean should be visible to the west beyond Santa Monica. 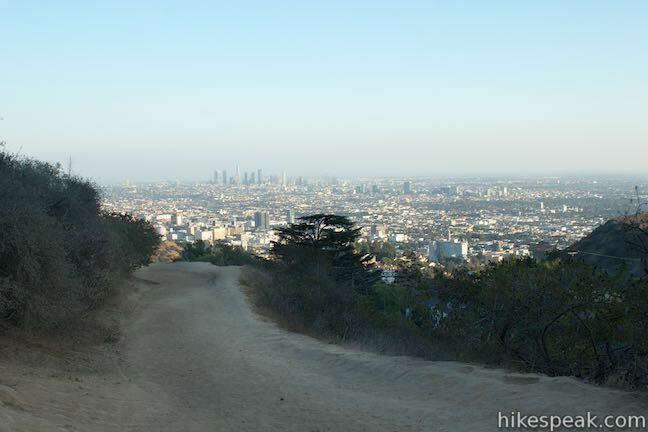 After taking in the views, backtrack to the junction and head the other way (to the right), hiking southwest for a tenth of a mile down to a junction on Western High Way Trail, a tenth of a mile from Runyon Canyon Fire Road where the extension to the top of the park began. Turn right to head toward Western High Way Trail. 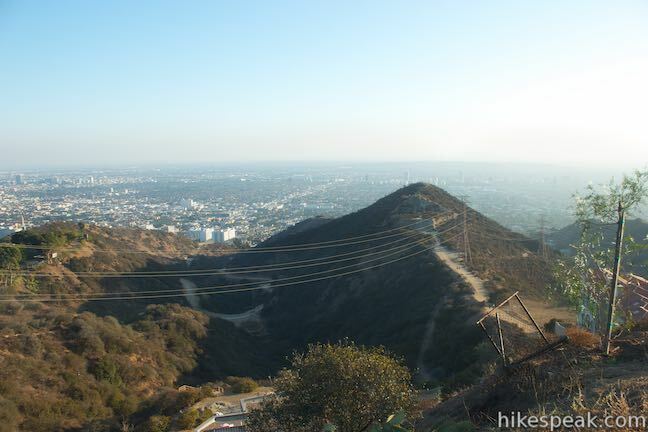 For the 2.65 mile loop, turn left at the junction between Western High Way Trail and Runyon Canyon Fire Road. After a tenth of a mile, you will pass the trail coming down from the park’s high point on the right. In another 0.15 miles, stay to the left past a dirt trail that connects to Solar Drive. 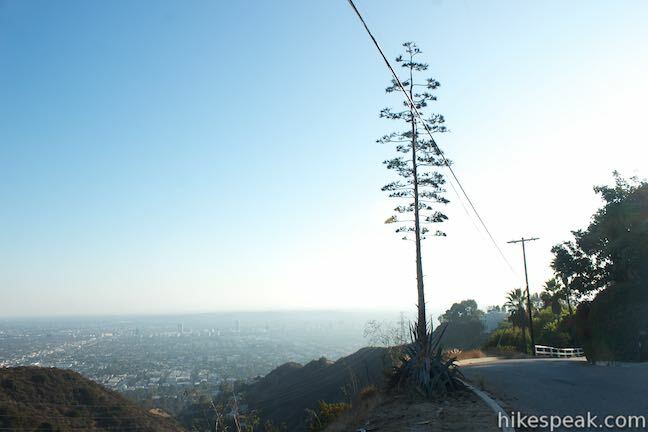 This road can be used to connect Runyon Canyon Park to the top of Trebek Open Space, 0.4 miles away (hike 0.25 miles down Solar Drive to Astral Drive and turn left to reach Astral Drive Trail). 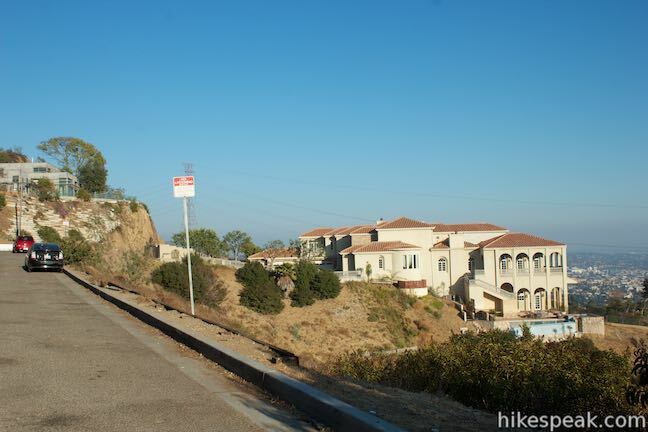 Beyond this junction Western High Way Trail passes a mansion and descends toward a ridge on the west side of Runyon Canyon Park, narrowing to a southbound single track. A short steep spurt brings you up a distinct rock outcropping near the 1,200-foot high point of the ridge. To the west are nice views over Trebek Open Space and Nichols Canyon. 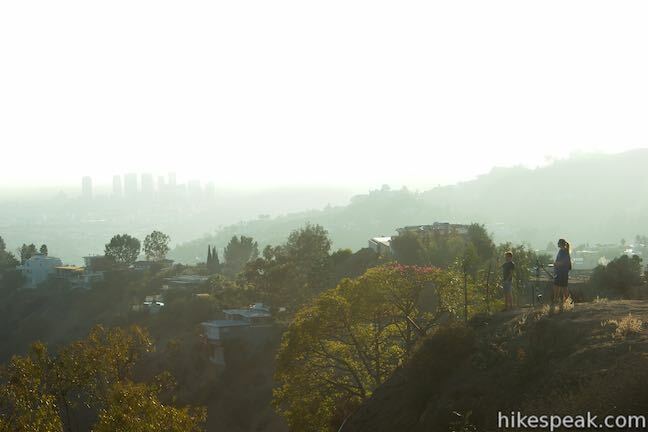 From this lofty vantage, the congestion of hikers below look like ants marching up the mountainside. 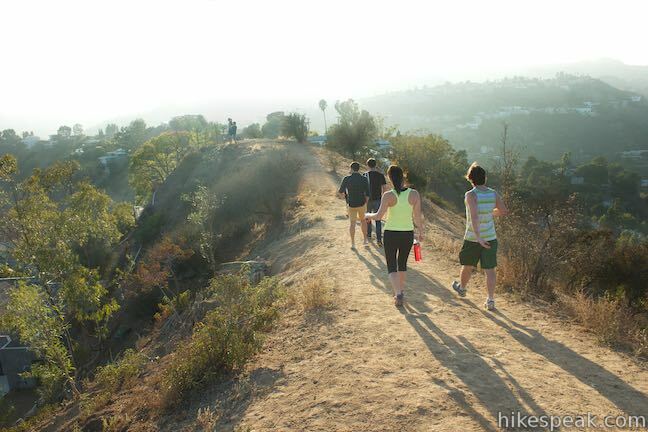 Most trails around Los Angeles offer the opportunity to escape city life. 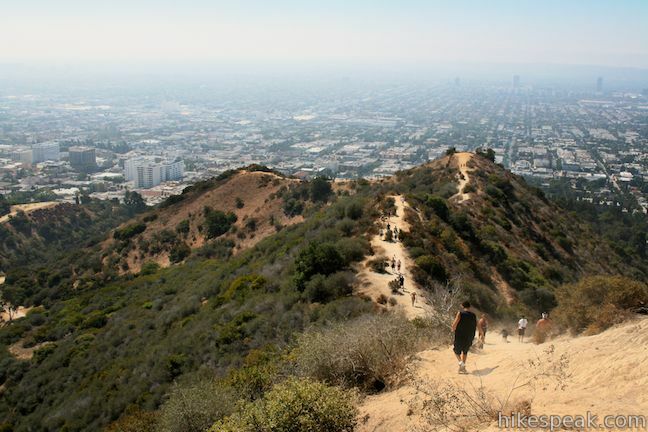 At Runyon Canyon, hikers trade solitude for community. 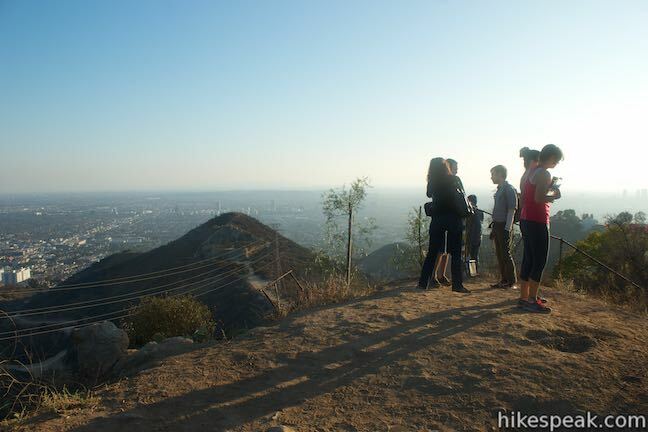 Take in the towering view of the cityscape to the south before making a steep decent into the canyon. Be careful coming down off the ridge. 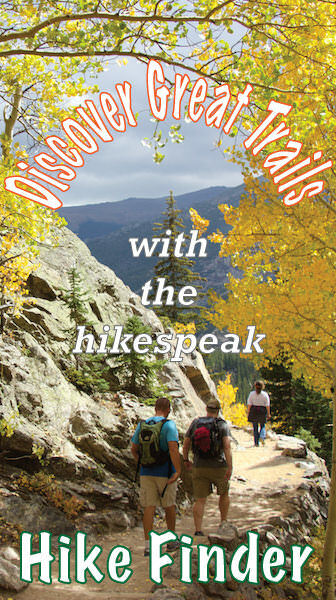 The dirt is loose in places and the precipitous trail drops 600 feet in just half a mile. 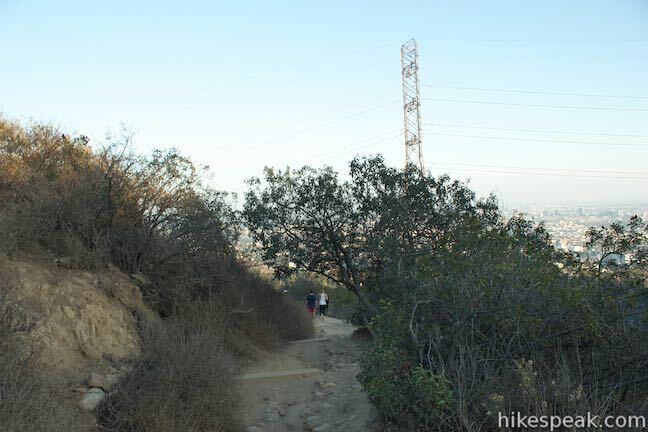 The rough trail ends just above the Vista Street Entrance, meeting up with Runyon Canyon Fire Road. 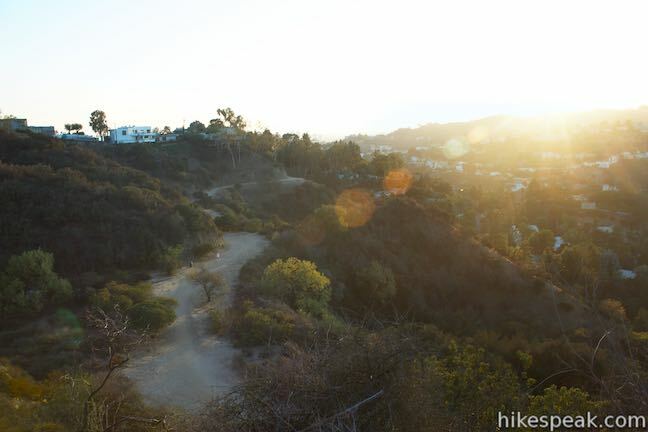 A short distance up the road from the gate, take an immediate right and drop down to the original trail in the center of Runyon Canyon. The loop is complete. Turn right to exit the park through the Fuller Avenue Gate. 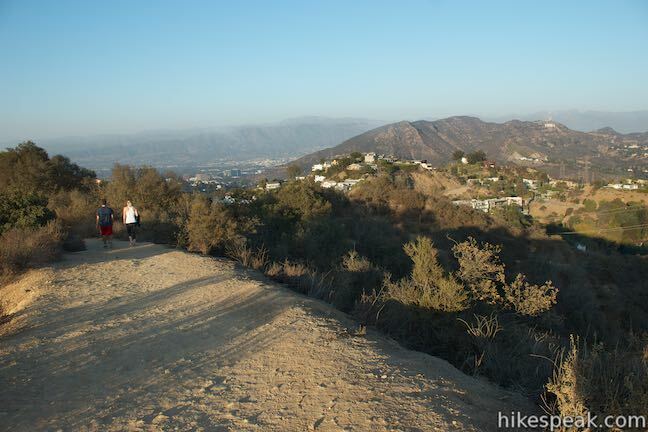 Runyon Canyon Park has additional short trails that you may wish to explore. 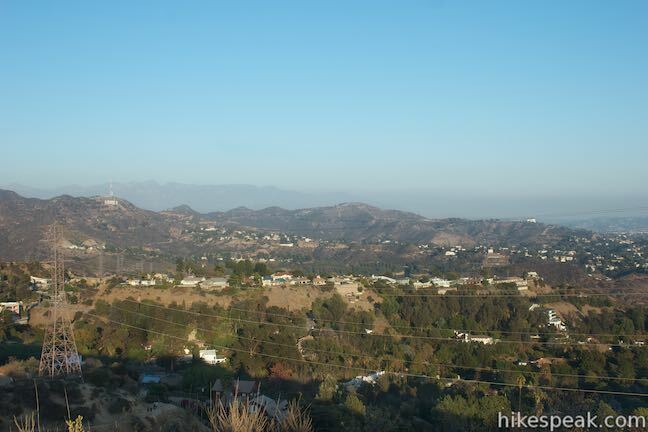 The 0.85-mile 1.9-mile, 2.65-mile, and 3.3-mile hikes all offer great overviews of Runyon Canyon. 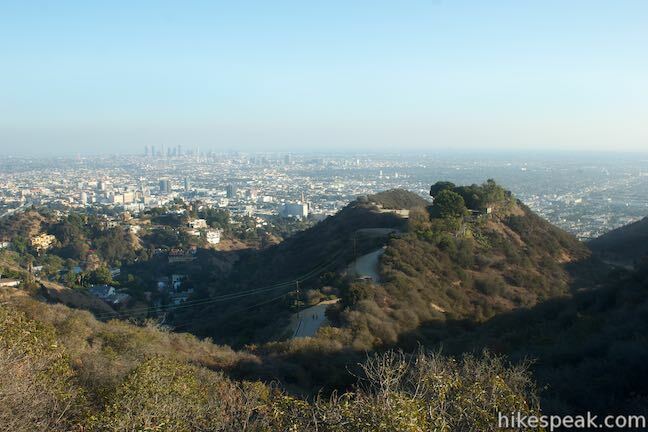 No fee or permit are required to hike in Runyon Canyon Park, so get out and enjoy. 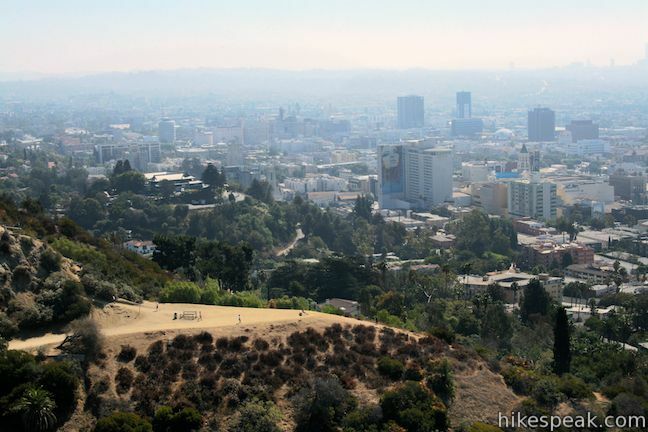 Do you have more questions about Runyon Canyon? Here’s a quick Q&A. 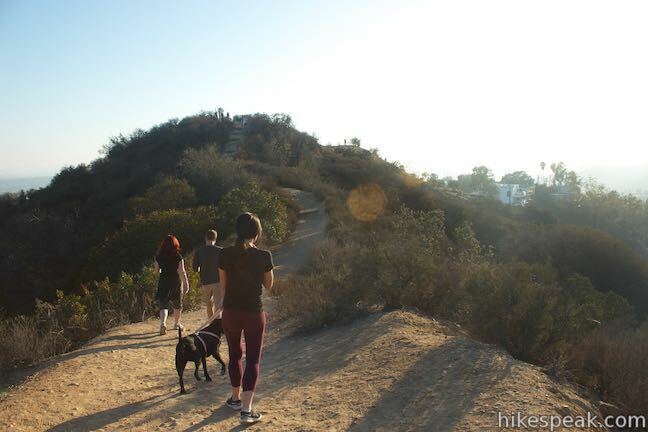 Can you take dogs to Runyon Canyon? Yes. 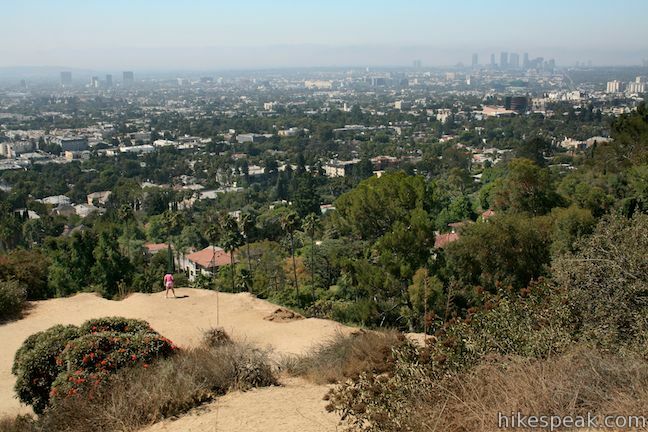 Runyon Canyon is a dog-friendly park that even has off-leash areas. 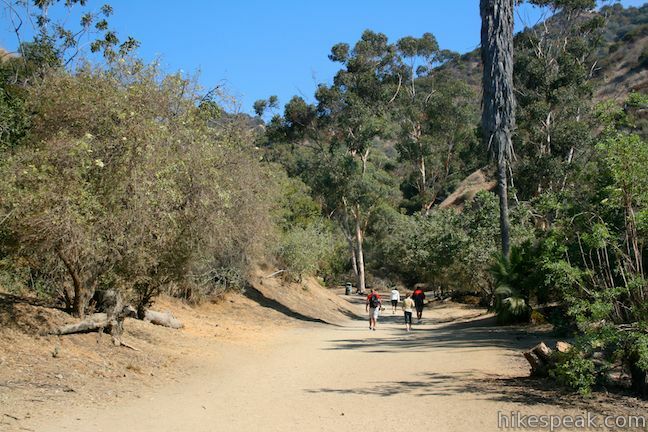 Los Angeles has many other dog-friendly trails. 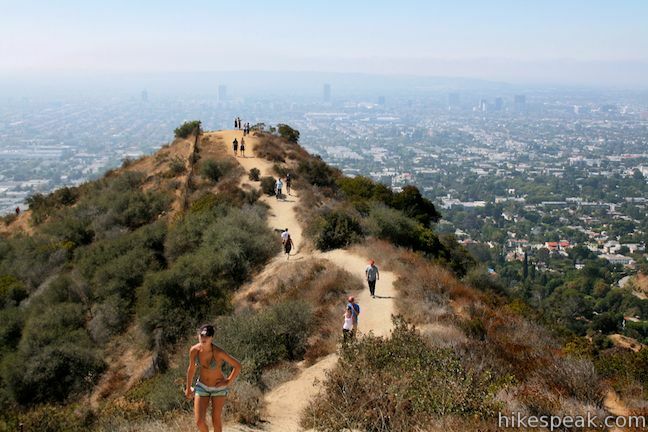 How long does it take to hike Runyon Canyon? 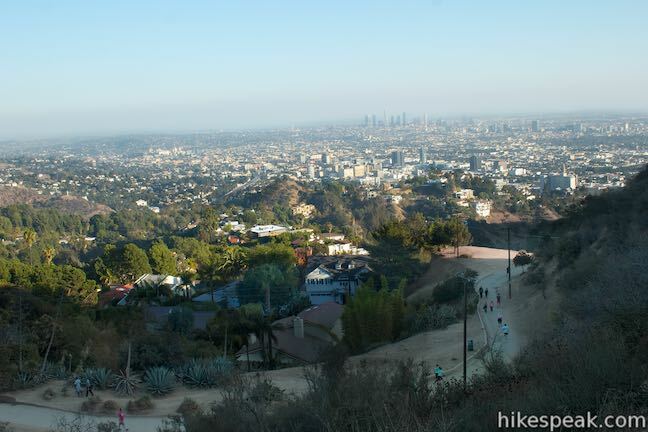 You can spend anywhere from 15 minutes to a couple hours exploring Runyon Canyon Park on hikes from 0.85 to 3.3 miles. 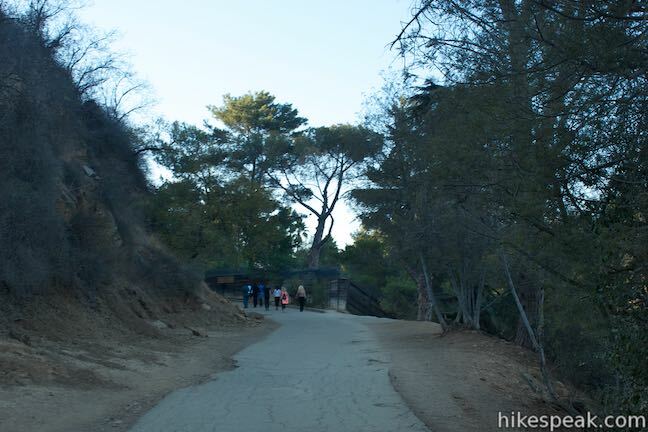 To get to the Fuller Avenue Trailhead: From Hollywood Boulevard, travel 0.2 miles west of La Brea Ave. and head north on North Fuller Avenue. Head north across Franklin Ave. and begin searching for street parking. 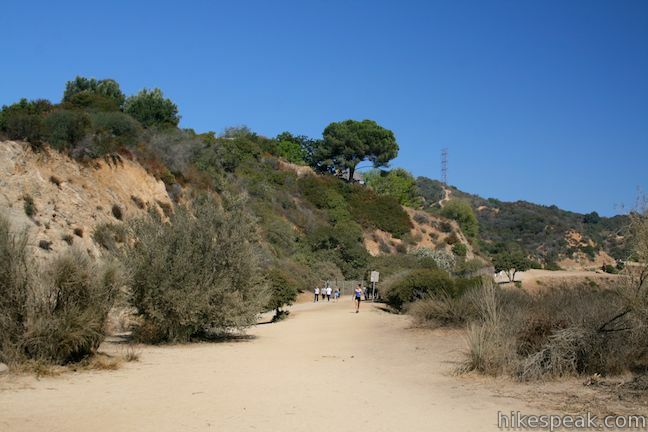 The entrance to Runyon Canyon Park is at the top of Fuller Avenue. Street parking can be scarce. 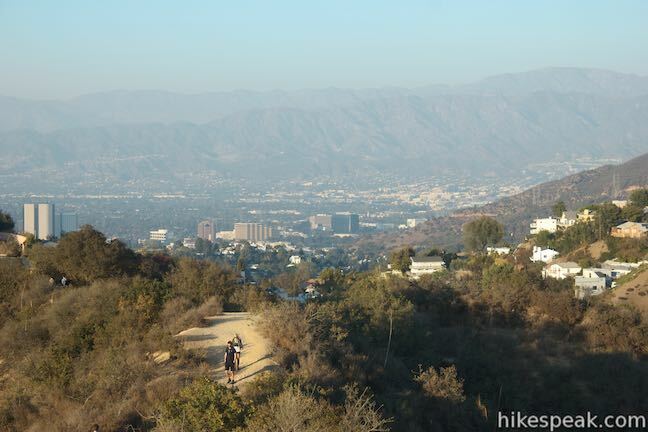 To get to the Mulholland Drive Trailhead (Upper Trailhead): From Hollywood, take the 101 Freeway north to Cahuenga Pass and exit 11A for Barham Boulevard. The offramp joins Cahuenga Boulevard East. Before reaching Barham, turn right up Lakeridge Place (don’t speed right past). Go through one intersection and turn right onto a bridge over the 101 Freeway. Across the bridge, turn left up Mulholland Drive and travel 1.5 miles to the trailhead parking area, which will be on the left. Coming south down the 101 Freeway, take exit 12A for Lankershim Boulevard. At the end of the offramp, turn left and head south on Cahuenga Boulevard. 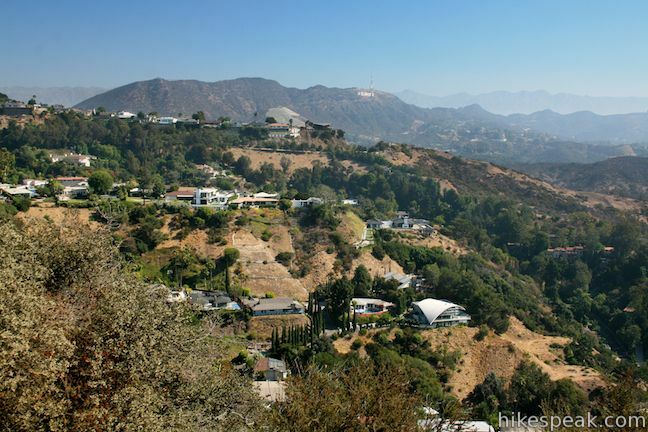 Drive 1.3 miles to Mulholland Drive. Turn right and go the 1.5 miles up the trailhead. These photos were taken in September of 2010 and November of 2014. Click to enlarge. 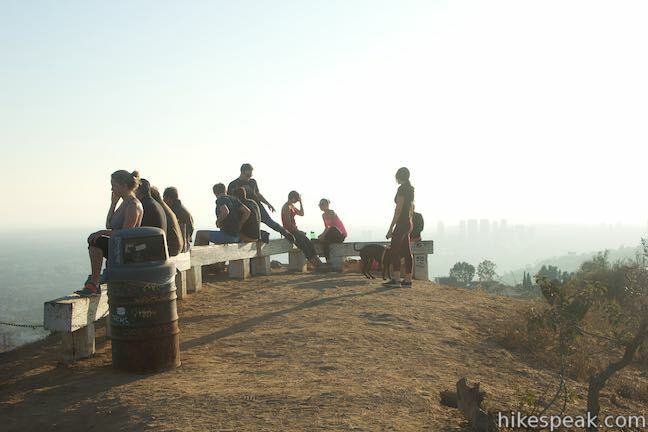 A Hollywood Reporter article on "Why Hiking Runyon Canyon Is the Best Way to See the Stars"
What happened to the bench at Runyon Canyon? That is the BEST bench in the whole world! 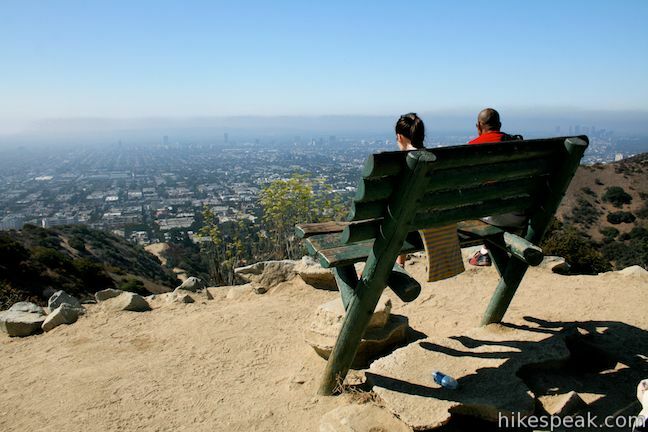 It made the hike special because you could sit on the bench, look out at the whole city, the bench had a certain tilt that made a person feel that they were flying out over the city…I LOVED that bench!!!!!! PLEASE BRING IT BACK! PLEASE? Please? please???? Hi Dana! Do you know if they ever brought the bench back or replaced it with something else? What was so special about that spot? Why did they take it away in the first place? 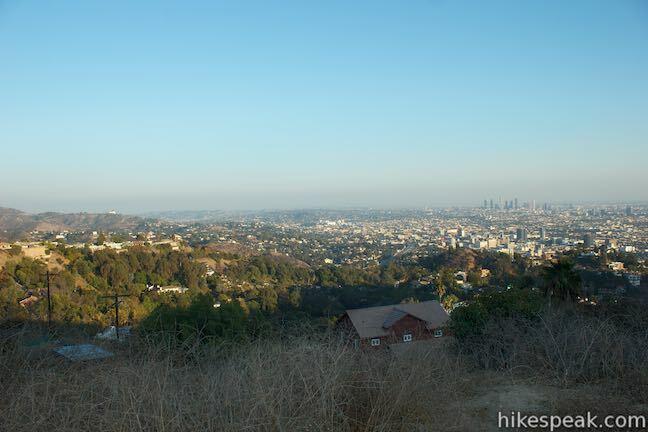 Poor, poor Runyon Canyon gets a bad rap, but how else can I get a 3.5 mile hike in seven days a week? The trailhead is only two blocks away from my front door, so it can’t be beat for ease of access. Yes, there are the major drawbacks of overcrowding and terribly inexperienced and unprepared tourists jamming up even the easiest of descents with their bad shoes and fear of falling. However, if you’re willing to explore the trails that are off the beaten path, there are some real hidden gems! There’s a secret path with no identifiable trailhead in Wattles Garden Park that is very steep, very isolated, and will lead you right up to the Prayer Box summit. Also, there are a few great isolated footpaths that snake through the canyons and can make for a much more challenging and enjoyable hike. My advice is to visit the park a few times and follow the dirt trails that the tanned hardbodies are ignoring, then craft your own hike! Loved the experience however got a parking ticket. The signs for parking are not really clear to understand. Where is the best place to park. They should be clearly marked. Some of the streets around there like Vista, Gardner, and a couple of blocks of Franklin had new parking restrictions put in a few years ago, so you need to read the signs carefully. People are so used to seeing those green 2-hour 8am-6pm signs all over town, that many don’t notice that sometimes those signs also say “Monday thru Friday” – which means you are NOT allowed to park on Saturday and Sunday without a local permit. Thus, you will get a parking ticket as it also says “No Parking anytime except for…” If the 2-hour green signs don’t indicate M-F, then you can park there on the weekends. I’ve seen so many people get tickets on the weekends because they don’t notice the M-F part on the green signs, and I’ve also told so many people as they were parking and saved them from getting a ticket. I find that on the weekends, it’s very hard to find parking close by regardless, so I just find a spot on any of the streets just south of Hollywood Blvd. None of those streets have the weekend permit restriction, either. On Hollywood Blvd itself is also no permit parking. And besides the permits, there is street cleaning all over that entire area on Mondays and Tuesdays starting at 11am or 12 noon depending on the block – so make sure to check those signs as well. 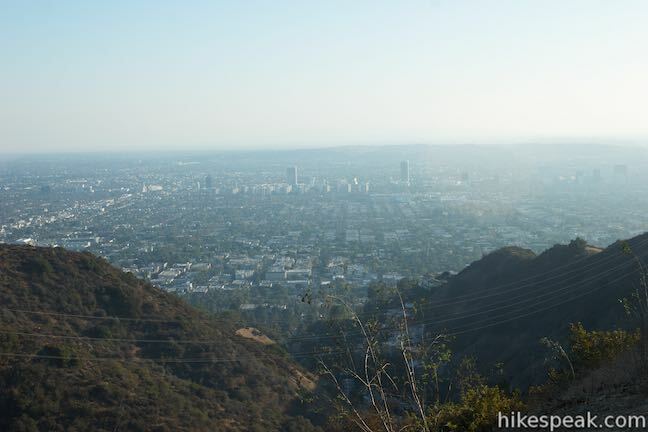 Runyon Canyon Park Loops was recommended by a friend as I visited LA area this past weekend. I got in a great walk with my wife and took in the views from the high points. The park has No parking, no bathrooms and is not well kept compared to others parks I have visited. Also the dog owners need to do a better job of picking up poop! There was a lot of poop on the trail but not as much as I saw in a one block radius on the sidewalks while walking up to the trail. All the more reason to keep dogs on a leash! 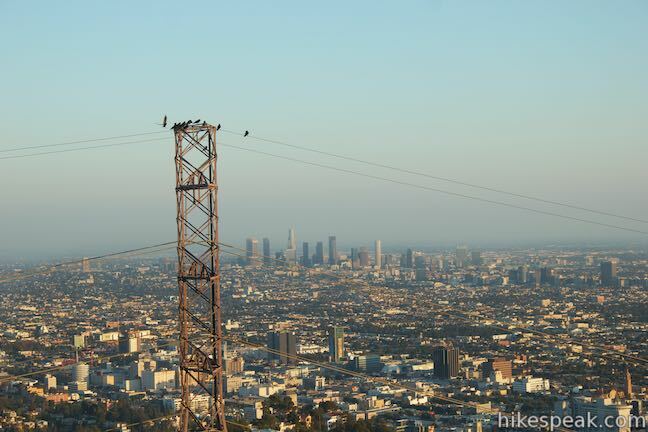 Is Runyon Canyon open to the public, I heard there were gonna close the park for a short period of time? 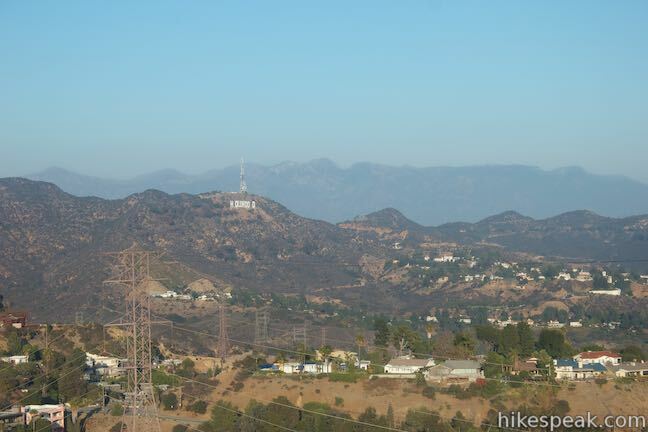 When I visit LA I love going for a hike there. 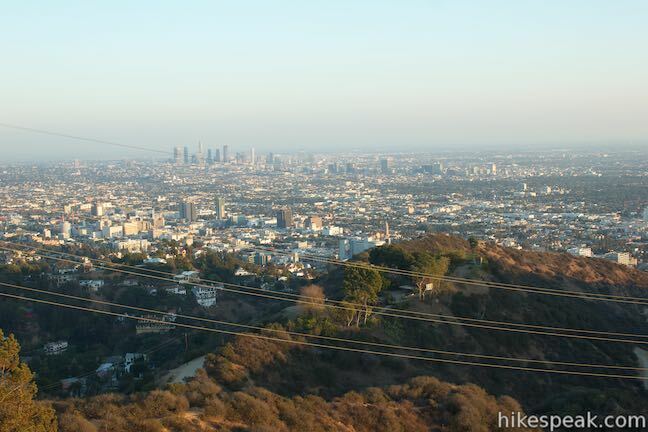 Runyon Canyon is scheduled to be closed through July. 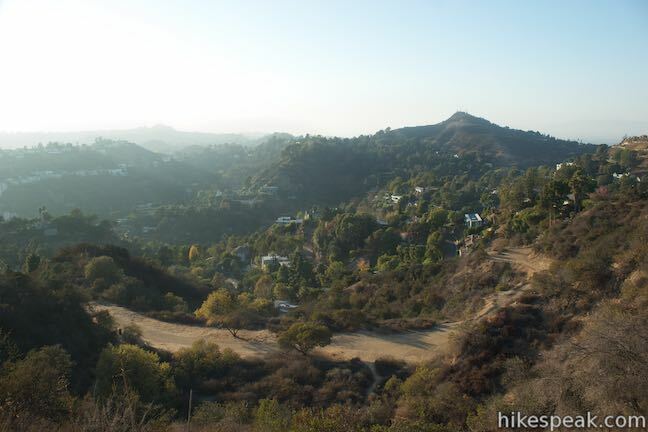 In the meantime, try hiking ‘next door’ in Trebek Open Space. 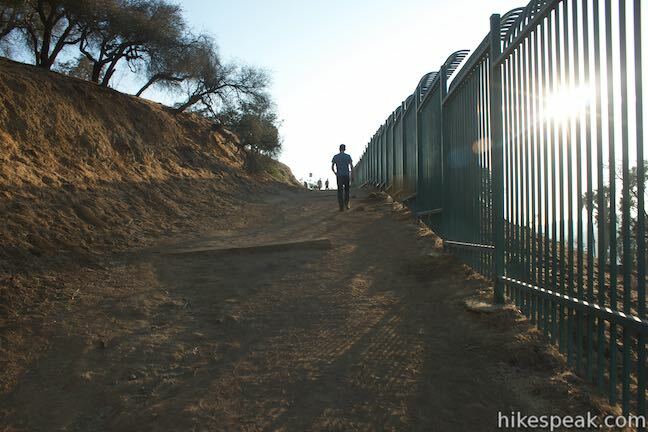 Can I get to the walking trail from the north side off the 101 freeway? 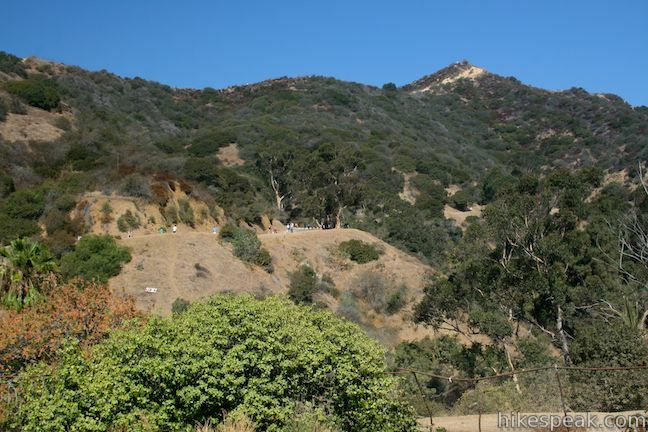 East Ridge Trail and West High Way Trail are moderate trails with steep section. 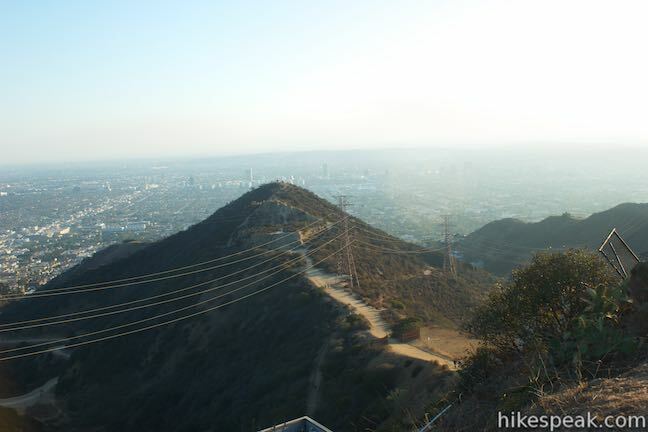 Runyon Canyon Fire Road, the wide trail up the park between those two ridge trails is the easiest. Hi, my corporation would like to set up a table to give away free samples of our Eco-Friendly & compostable Pet bags to the hikers. Are we allowed to do that? Do we need to sign up for permission? The location is easy to reach, but parking in the residential area can be a challenge. 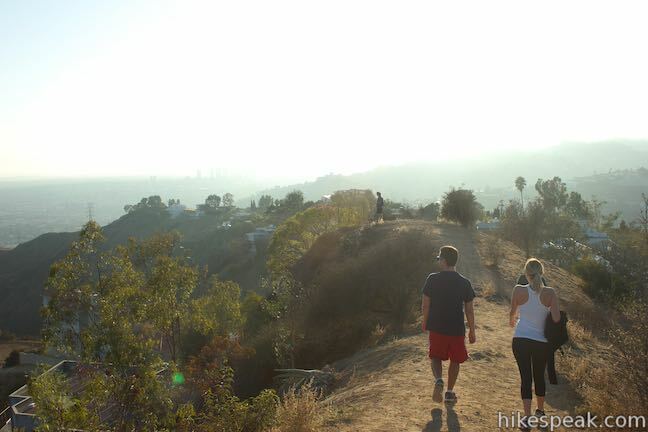 Runyon Canyon is fun, easy, and may be crowded depending on the day of week and time. If you’re looking for solitude, pristine pine trees, and high elevation, quiet rails, then this isn’t for you. 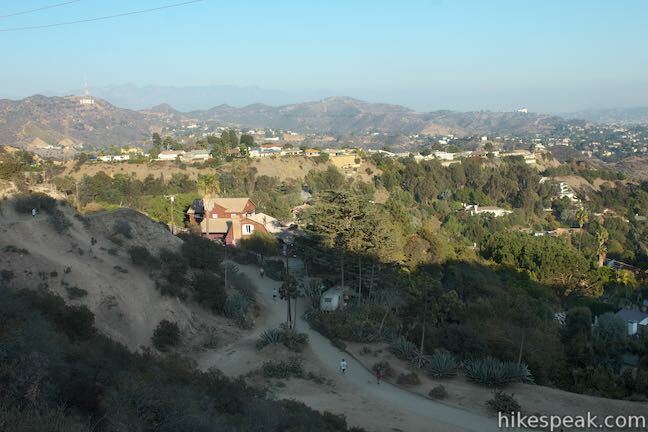 This is an easy access and very popular trail in the middle of Hollywood, CA. So accept it for what it is, enjoy it for an easy outdoor treat for yourself and pets, and be happy. 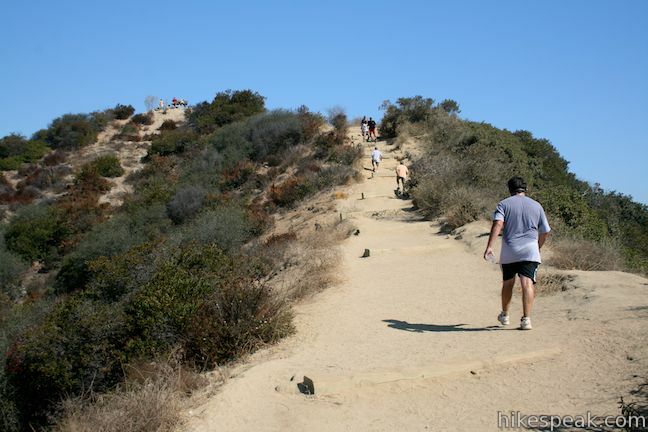 If you want more challenging hikes, away from the hustle and crowds, look up hiking trails in the Angeles National Forest, San Gabriel Mountains. You will find what you’re looking for but with a little more driving up the Angeles Crest Highway 2 (Calif SR-2). 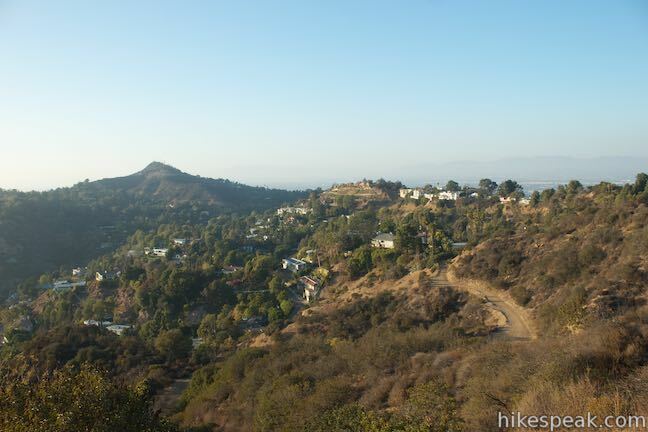 This is a recommended hike if you don’t have all day and want some sun with nice views over Hollywood, Santa Monica mountains, and the Ocean. Make the best of it, enjoy it, and if you have a dog remember to bring water for your pet, and poop bags.